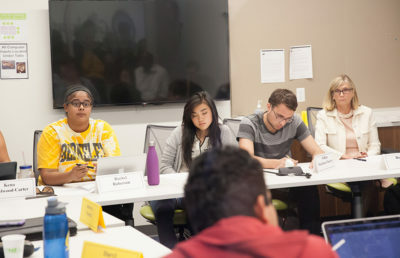 Bridges Multicultural Resource Center, meanwhile, is a coalition of several campus organizations that encourages underrepresented students of color to pursue higher education and provides resources for UC Berkeley students of color. 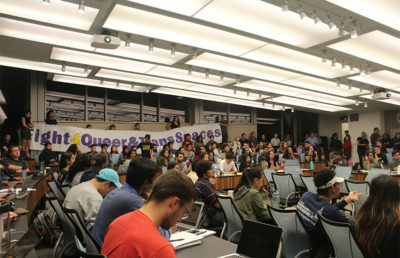 Javier said the two organizations are not new resources on campus, despite what many people may think. 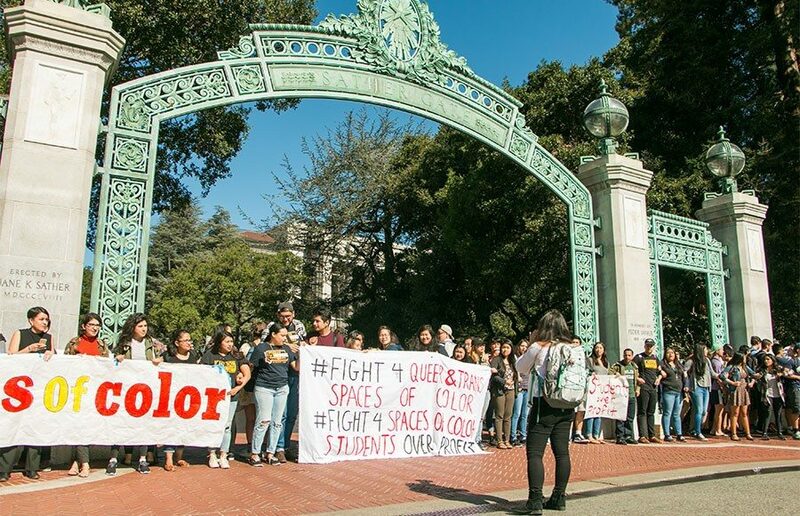 Last Friday, supporters and members of the organizations led a protest in front of Sather Gate — after having held several previous protests — demanding their resource centers be relocated to another area on campus. In 2011, QARC and bridges were offered the choice of two spaces — one in office space shared with other student groups and the other in the Eshleman Hall basement. Because of bridges’ work with K-12 students, which requires it to keep certain information confidential, the shared office space was not an option, and it therefore agreed to its current space. Many news outlets reported that activists who were part of the protest refused passage to white students attempting to pass through Sather Gate but did not prevent minority students from crossing. Javier said this claim is false. According to campus spokesperson Adam Ratliff, campus representatives have examined the situation and have spoken with eyewitnesses, including police officers, and determined that race did not play a role in the protesters’ interactions with people who attempted to pass through. Media sources claiming the organizations are looking for a “safe space” are wrong, according to Javier. 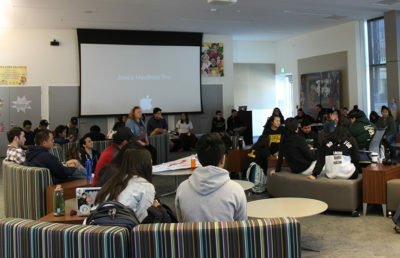 Campus leaders are currently helping to create a solution to the issue in close cooperation with the ASUC Student Union, Ratliff said in an email.